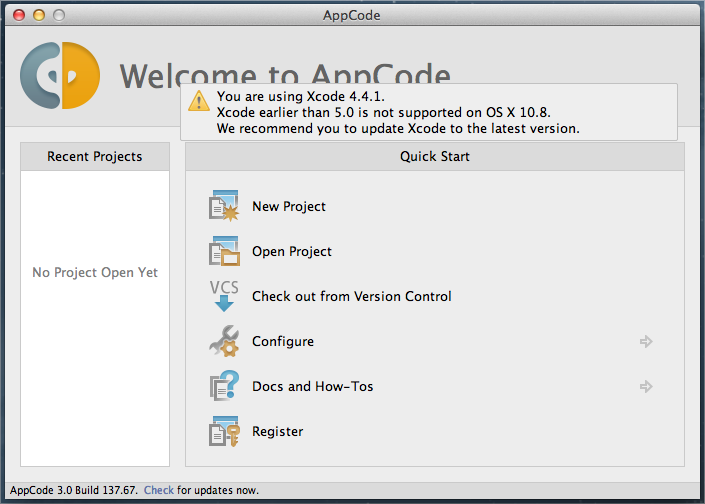 Is developing apps for iOS-5.1 supported in AppCode-3.0? I have some dependency problems. Ok, so AppCode cannot run on 10.7 (strange in that it is a Java application and depends on the JVM). This is a problem! I cannot upgrade Xcode to newer version because Xcode-4.4.1 is the latest version that supported iOS-5.1. What are you guys doing to support the older iPad1 platform and what will be the correct combination for a working setup? that call out to native code, in order to create a better Mac-native experience. 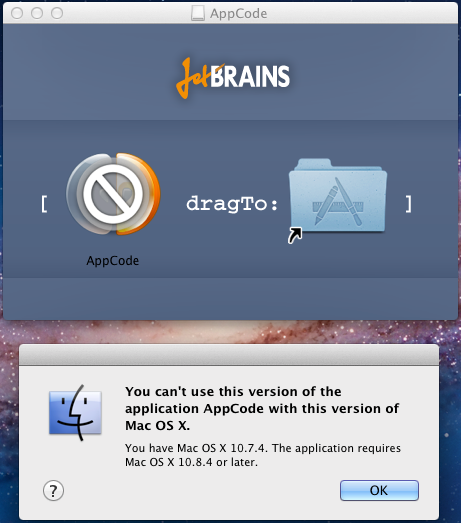 JetBrains offerers the best Mac-native experience for a Java application that I have experienced. I set the deployment target for the project to 5.1 (it actually offers even older versions, down to 4.3). You'll need to put more emphasis on on-device testing, as the oldest simulator offered is 6.1. My app isn't shipping yet, so there may be issues down the road that I've simply not run into yet. I totally agree on the great Mac experience of Idea! (As long as the new version of Xcode will generate code executeable on the old devices). are you aware that Apple will refuse any app that was not built with XCode 5? Use Xcode 5 with iOS 7 SDK to compile, validate, and submit release versions of your iOS 7 apps to iTunes Connect. Starting February 1, new apps and app updates submitted to the App Store must be built with Xcode 5 and iOS 7 SDK. For details on how to submit your app using Xcode, review the App Distribution Guide and iTunes Connect Developer Guide. We have dropped support for Xcode older than 5.0 due to great cost of it - each version of Xcode is different and thereore we have tons of conditional code. This make development, testing and supporting very expensive. To be able to move forward as fast as we want, we decided to stop supporting older versions and focus on the latest stable Xcode instead. We understant that in some situations it's absolutely must to test an app on, say, iOS Simulator 5.0. And there is a workaround: you can develop and do the most of the work in AppCode with the latest Xcode, and switch to older Xcode in order to test on various devices and simulators.